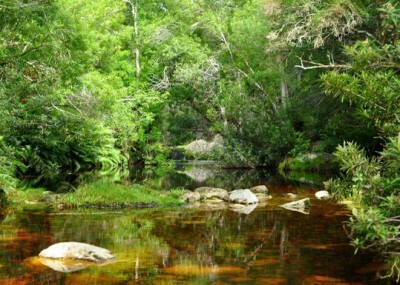 We suggest you make a point to head just a short drive west of Knysna, to the Fisanthoek area. Here you can do all those things and so much more. 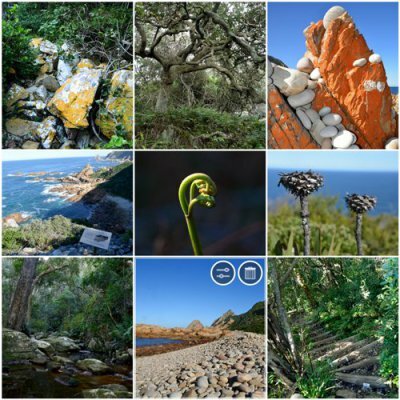 One of the reasons this circular 9km hike is so incredibly rewarding is the continually shifting landscape through which it runs that truly epitomises the natural beauty of the Garden Route. The trail meanders through the old indigenous coastal forest where all sorts of tree specimens can be found rising up from the leaf-littered forest floor; past ferns and fungi; across cola coloured streams; along a pebble strewn beach and over massive lichen-covered boulders. Along most of this hike, the sea is your constant companion. But also a sweet serenity which is so difficult to find these days. The trail engages all your senses; leaving you feeling both tired and utterly elated. This is a beautiful picnic site! Situated down in a valley, deep in the forest next to a cool forest stream, what more do you want? Don't worry, just go on to the extension! (take the road to the left as you reach the picnic site before crossing the bridge). 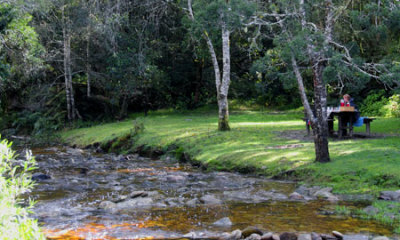 There is a stream flowing through the are ideal for the youngsters to play in so take their swim wear along. There is also the Jubilee Creek walk to a waterfall and swimming hole, 3km return. The White Elephant Trail has the most enticing rock pool where you can stop for a picnic and even have a dip in summer. But please be sensitive to the environment. The Red Elephant Trail crosses a little stream exactly halfway ideal for a lunch stop. Distance: There is a choice of 3 circular routes of increasing distance and difficulty. 3. The round trip via The Point is 11km and takes four hours or more. 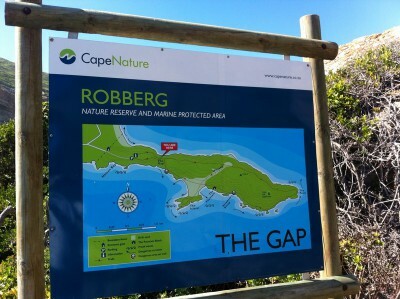 Robberg Nature Reserve offers great walking and hiking trails and is an excellent view site for cliff based whale and dolphin sightings. If you like to live on the wild side, then the Robberg Nature Reserve will appeal to you. The rugged peninsula of Robberg Nature Reserve offers a shot of the great outdoors un-distilled – crashing waves, barking Cape fur seals, stunning scenery and beaches – and that feeling of being far from the madding crowds. It’s worth the effort for the breathtaking views alone. You can see Plettenberg Bay and up the entire coastline to Nature’s Valley.